appropriate (ski) clothing and full-face helmet. 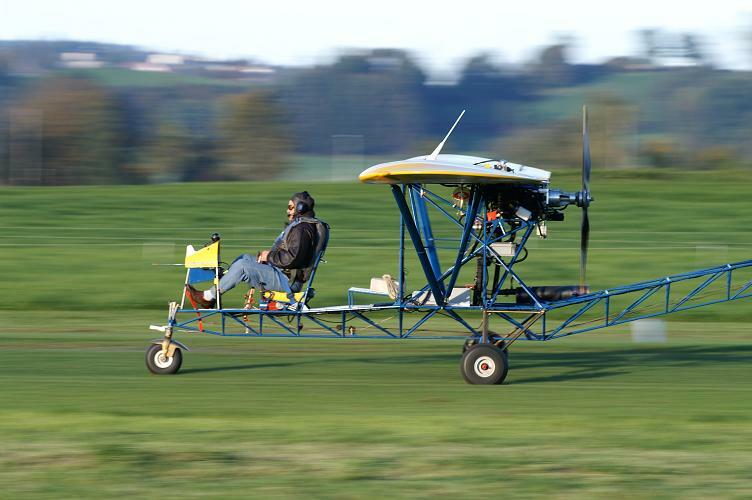 Edy Schuetz flies in Switzerland!!! I did my first flight last yaer. 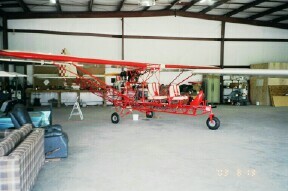 So my airplane is finished as you can see at the pictures. Please change my mail adress in the builders website to edy.schuetz@bzu.ch . Many thanks and nice flights. My Wankel Mazda 13B with 180 HP is perfekt to fly in the swiss alps!! But at a temperature of 12 °C it is not realy fun. See Edy's construction photos on the "Breezys Under Construction" page. 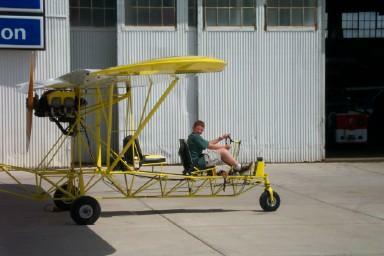 Congratulations to Matt Hlavac on his completion of his beautiful Breezy! 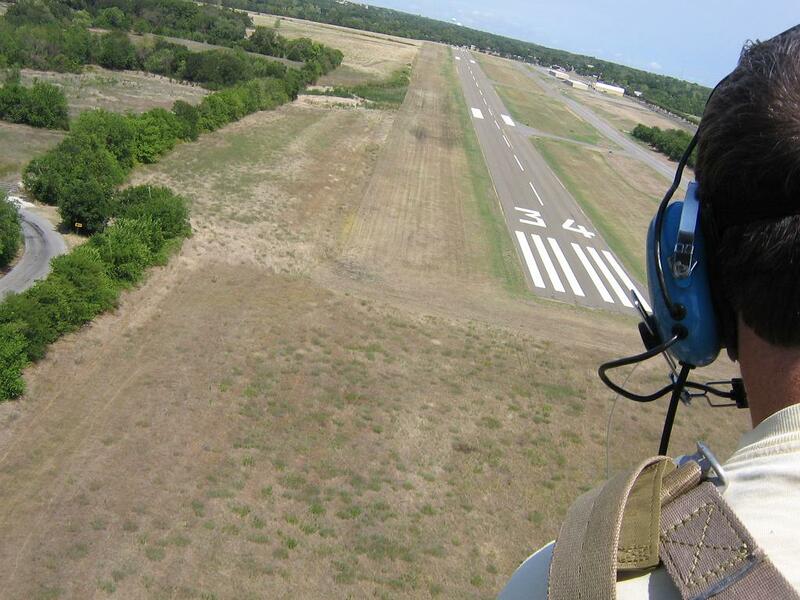 Here is Matt's report of the events leading up to and the test flight of Breezy N5150. This morning was the big event. The sequence leading upto this day started 4 years ago, but I will skip the nitty gritty and just give you a brief overview of the last few days of preparation, anticipation, fear and joy!!!! 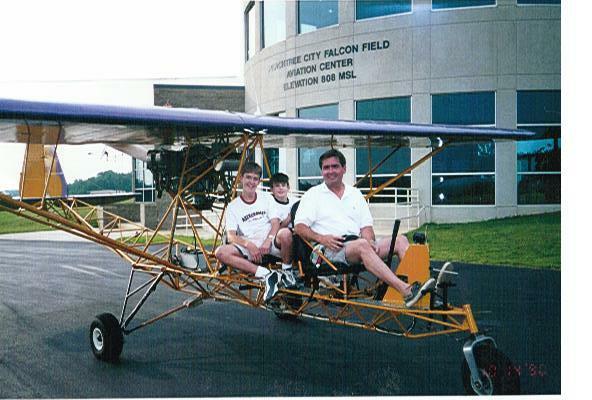 On Dec.18 '05 the Breezy was inspected by one of our local FAA DAR (Federal Aviation Administration Designated Airworthiness Representative) and deemed to be "Airworthy". A few days pass, we (Christina, Bella and myself) travel to my sister's in Texas for Christmas and then back to San Diego on Dec. 26. 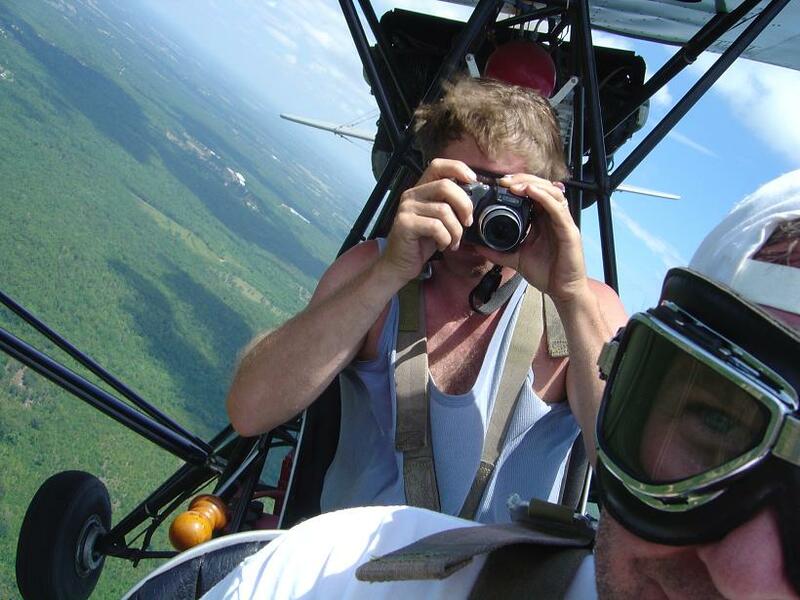 On Dec. 28 I have my BFR (Biennial Flight Review) with a local CFII in his 1946 Piper J3 Cub at Montgomery Field in San Diego. 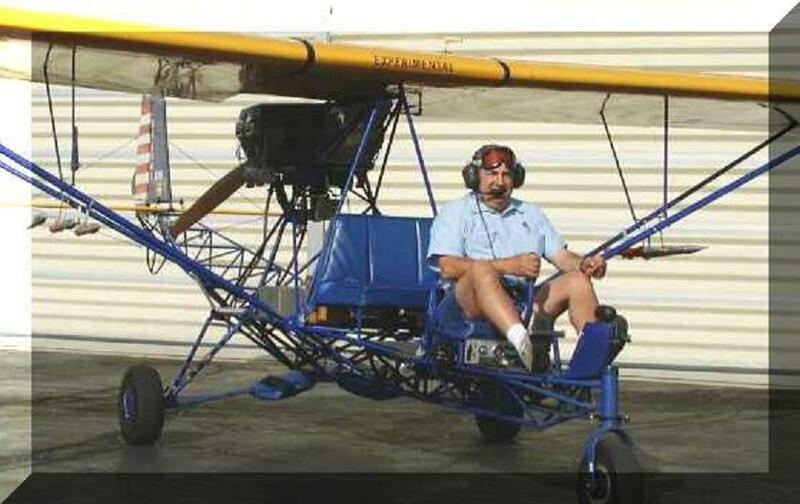 We do 10 take-off's and landings in one hour and have an all around good time flying his honest little machine. After an additional hour of verbal flight review I am signed-off for my BFR. On Dec. 29 high speed taxi tests begin at Ramona Airport in northeast San Diego county. The first high speed run on runway 27 was just to feel for any strange vibrations or tendencies as I brought the Breezy up to 30 mph. All was solid. On the second high speed taxi test, I eased up the power to find where the nose wheel started to get light. This happened at 37 mph. Again, all was solid. 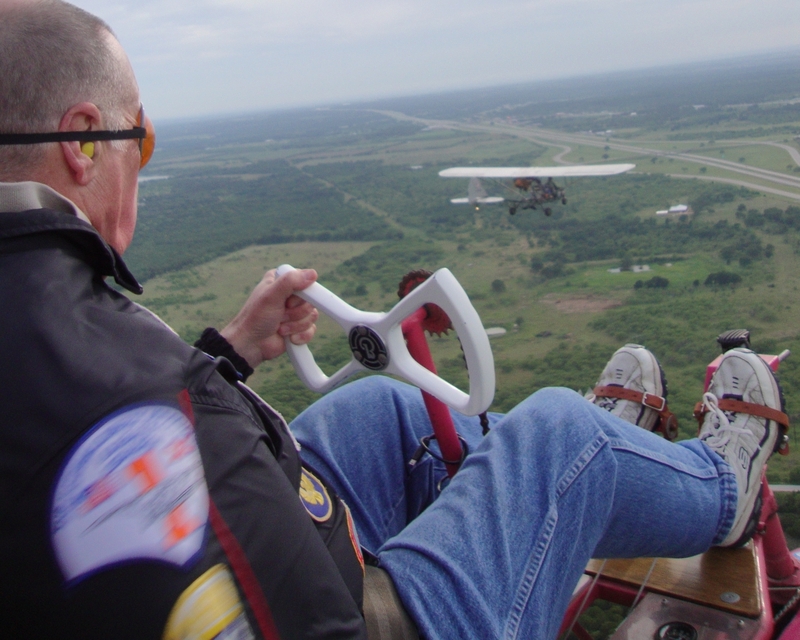 On the third pass I was looking for my "un-stick" speed for the nose wheel, so I thought I would creep up on it by adding power slowly past 37 mph, at 40 mph I was in the AIR !!!!! ALL WHEELS !!!!! A quick mental flip from rolling on the ground to flying in the air was made, power was reduced, directional control was maintained and down came Breezy, Matt and all. 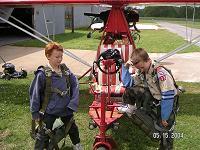 I taxied back to the hangar to let the adrenalin dissipate from my veins. Later that same day, I completed 2 more high speed taxi tests to determine the "stick-down" force of my elevator. I knew up elevator was effective, I just wanted to be certain down elevator was also there. It was. Two high speed taxi runs at 41-42 mph with forward stick showed positive nose wheel on the ground. On Dec. 30, I continued the high speed taxi tests and due to the 2 other planes in the pattern and 2 more inbound for landing I found the Control Tower operators to be a bit short with me and my requests to play around on their runway. They did oblige my requests for taxi tests, but the controller made it clear that I needed to "expedite". I did. The first run was just to get back in the groove and run the Breezy down the runway centerline at 37 mph. 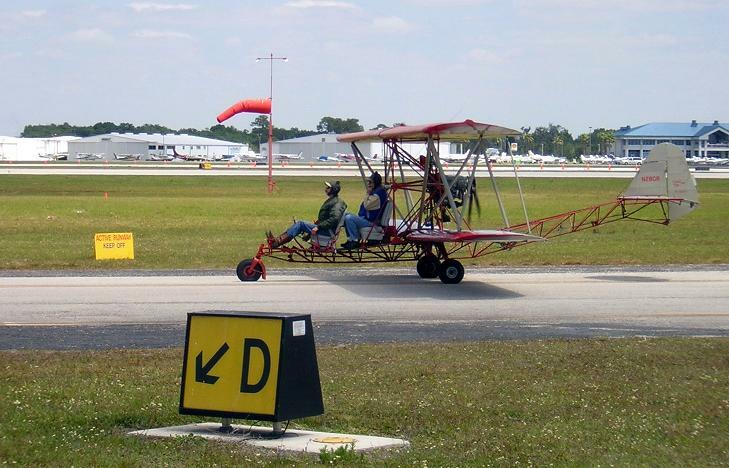 The second run I planed on picking the Breezy off terra-firma and fly down the length of the runway and check for any strange in-air tendencies. 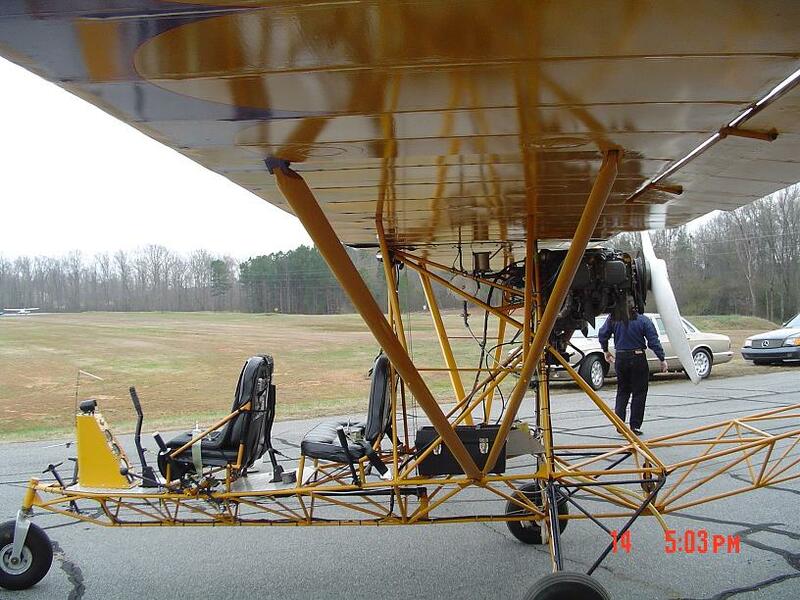 I added throttle, watched the airspeed pass 35 mph, looked down the runway centerline and lifted off. I stopped the climb at around 10' of altitude with forward stick and flew half the length of the runway and then reduced power and set the Breezy back down. She tracked well and again had no weird tendencies!!!!. Enough for today as traffic was getting heavier and the tower folks were busy. On Dec. 31 (today) we started before the tower opened. Christina (wife) and Bella (daughter) were on site for pictures and celebration. 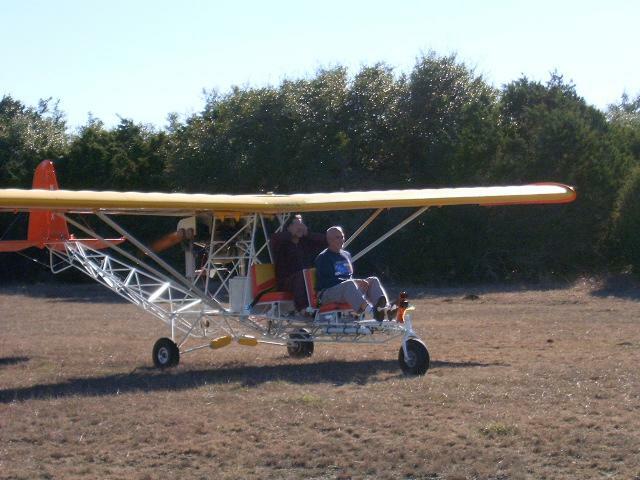 The plan was to take the Breezy once around the pattern, land, check for oil leaks or anything else and celebrate!!! The plan worked!!!! Christina took some video with our little digital camera and one still shot of me tuning base to final. Take off went well at 2/3 throttle, 2250 rpm, climb went well at the same power setting and 50 mph. I did not add full power as I was climbing nicely and having things nice, was nice. I turned cross-wind then down-wind in tight to the runway at a pattern altitude of 2400' , left the throttle at 2250 and nosed over for 60 mph, at the numbers (runway start point) I brought the power back to 1000 rpm (almost idle) and did my base-turn followed by my final-turn. 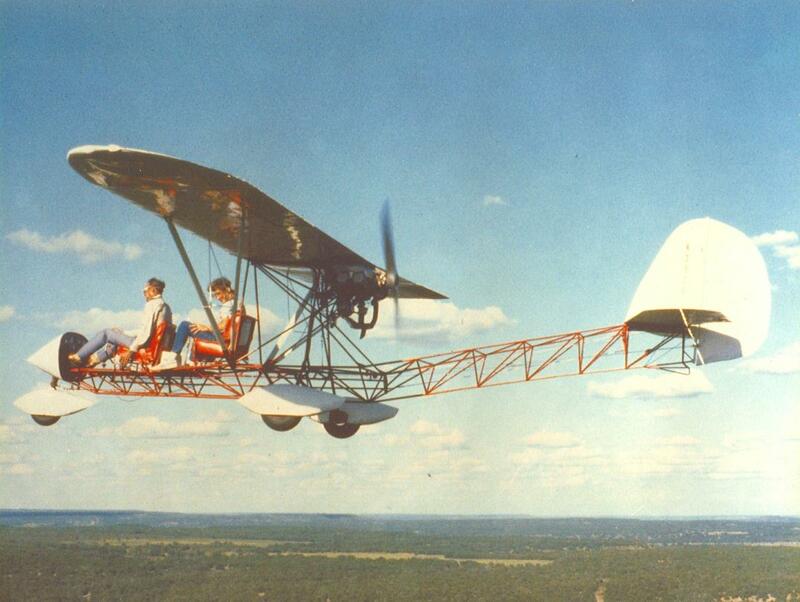 Over the numbers at 60 mph, into ground effect float then landing !!!! ALL WENT WELL!!! You can hear the mains, left then right squeak onto the runway as I touch down in the video. 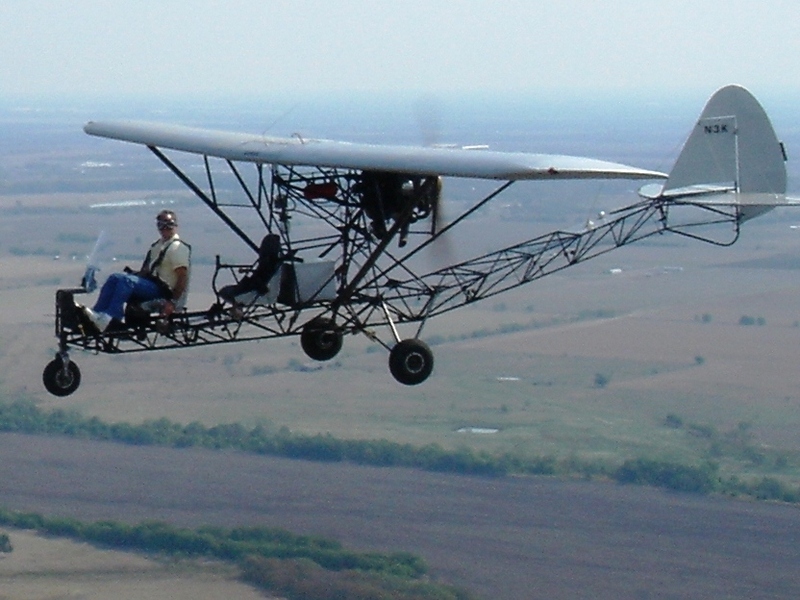 Just 39.8 hours left to fly-off for the Breezy's FAA requirement. Should be FUN!!!! Thank you all who have supported me in this effort, with my highest regard to my wife Christina, daughter Bella and constant hangar companions, Chewy and Ripley. 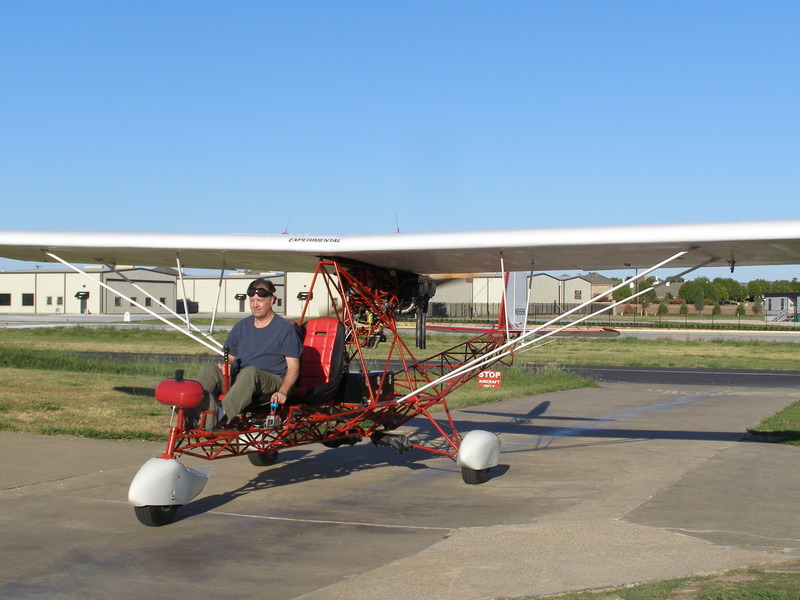 The Breezy took 3000+ hours to build over a 4 year period. What do you mean mom says its time to come home?! 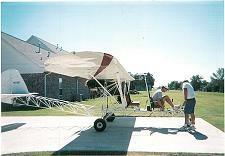 in a tech school in Summerset KY.
George Read's first Breezy was completed in 1976. 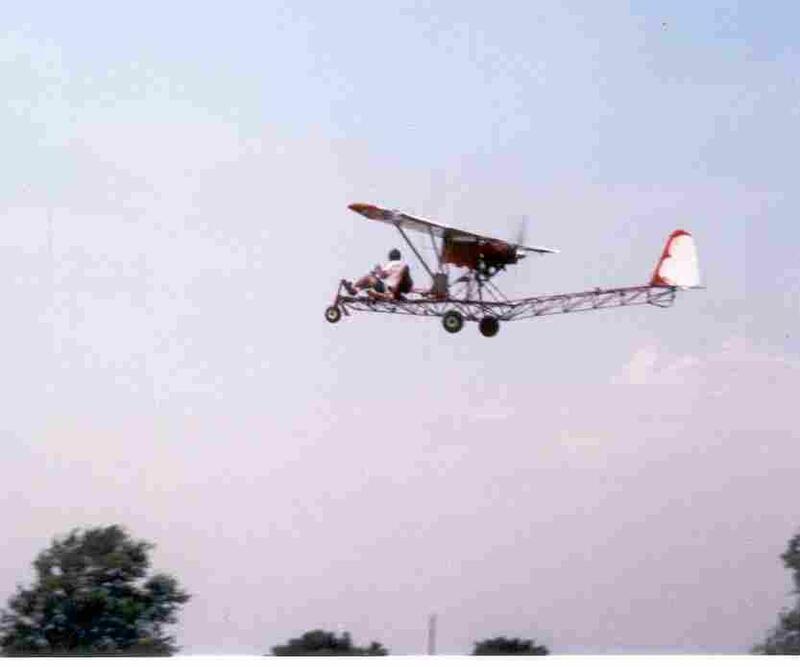 It was modified incorporating a 6' center section and a Lycoming 0-290, 125 HP engine. 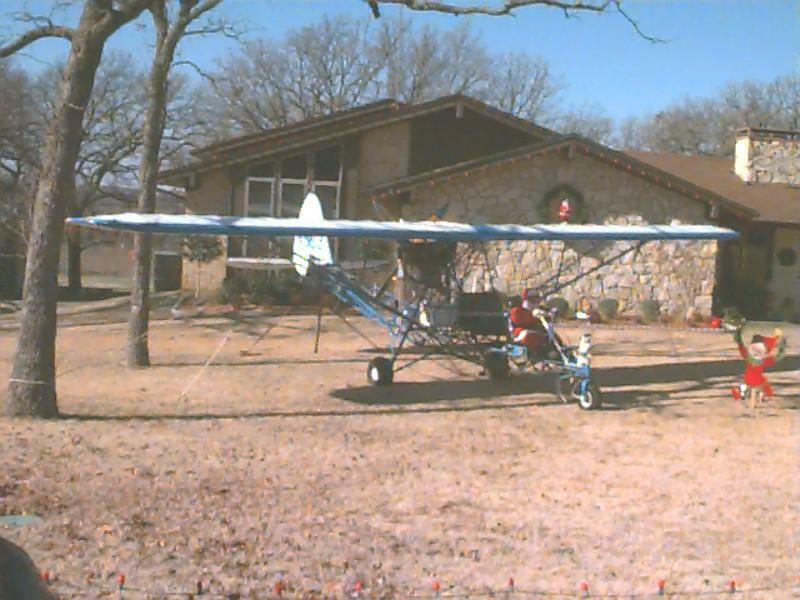 It flew very well with three full size occupants. Painted white with green trim, Touche' Turtle was aptly named. 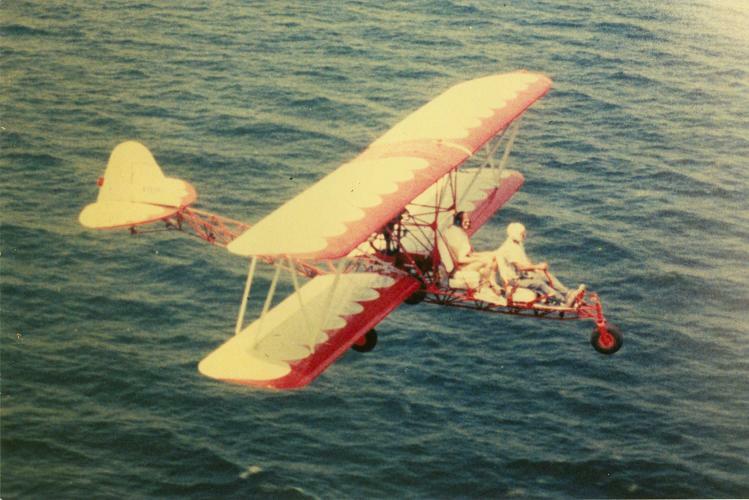 George Read's second Breezy was modified as a biplane. 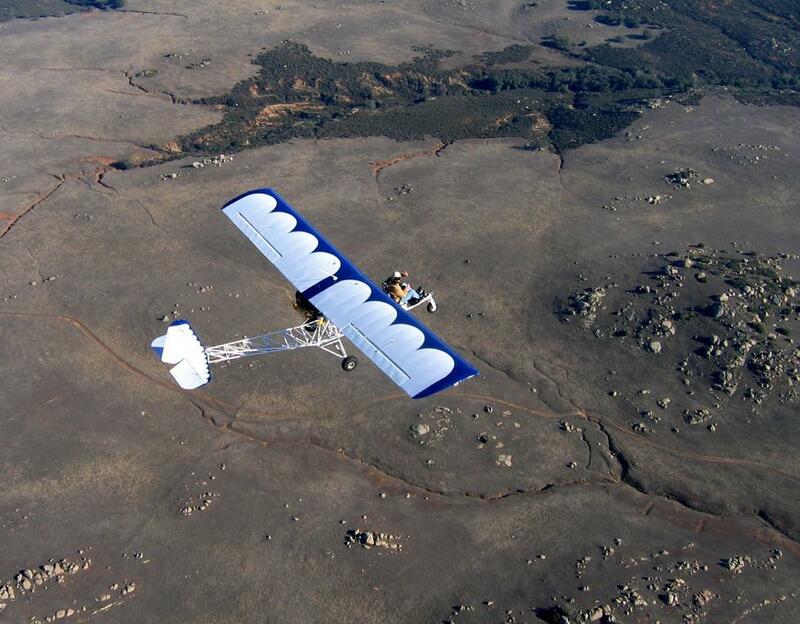 The Breezy Biplane has a wingspan of 36 feet. Built using Aeronca wings it is a big airplane! 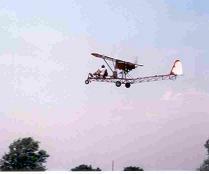 Powered with a Lycoming 125 HP engine it will take off and land on a dime and will carry anyone or thing that you can put on it. 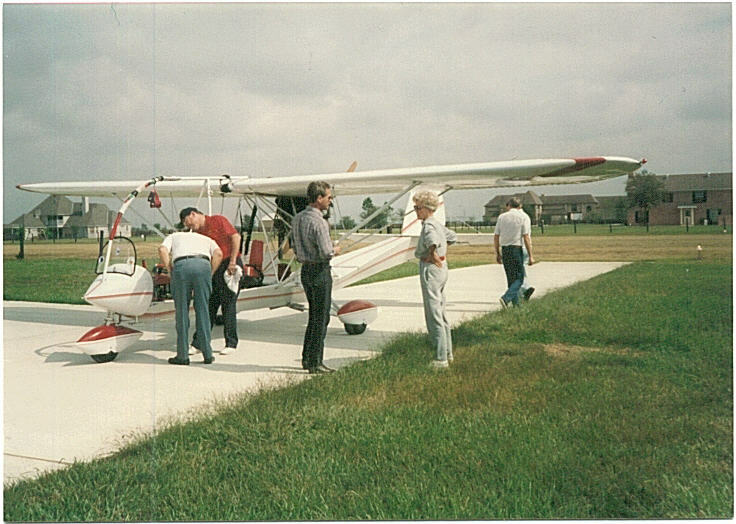 This aircraft has been flown from Florida to Indiana and another trip from Florida to Oshkosh, Wisconsin. 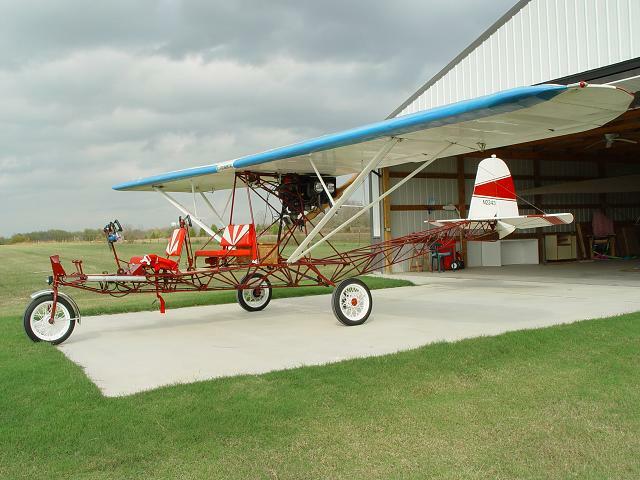 George had the enjoyment of not only building this aircraft originally but then restoring it 20 years later. 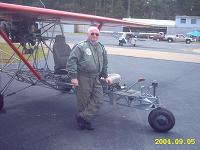 Gary Frierson currently owns the Breezy Biplane. 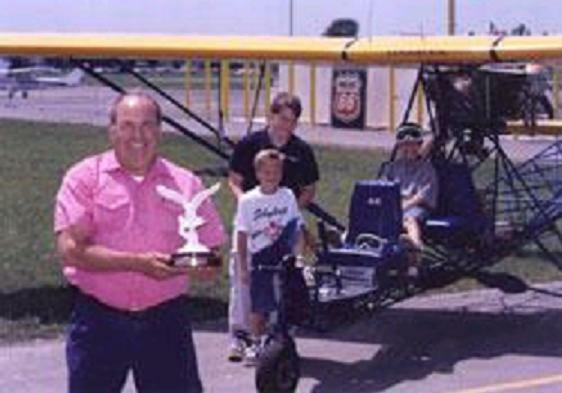 He and George Read have installed a Lycoming 0-360, 180 HP on it. Man does it jump off the ground now! Gary Freierson flew his Breezy Biplane to Sun n Fun 2004 to participate in the Breezy Builders BBQ. 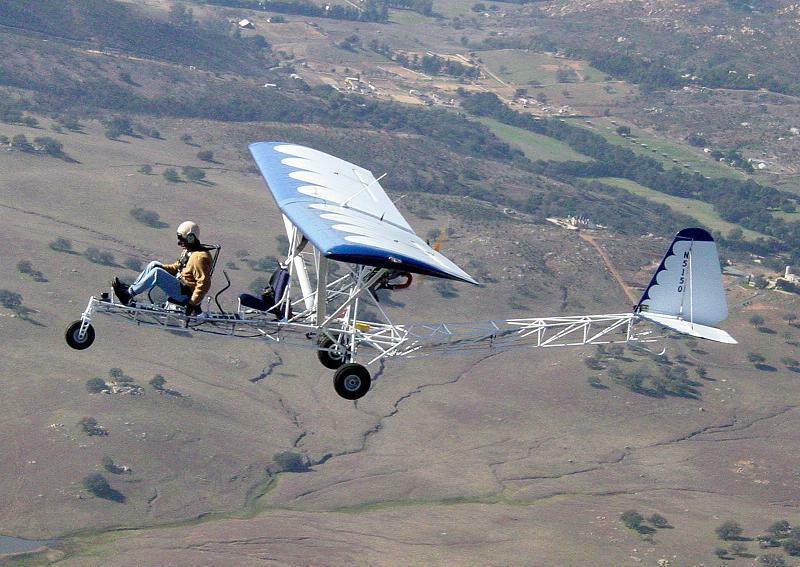 Arne Zimmerman has been flying Breezy's for 26 years. 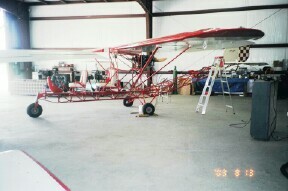 He has built and flown several and is currently flying this one he completed in 1998. This bird is outfitted with smoke system. What a hoot, as if he needed to be noticed! 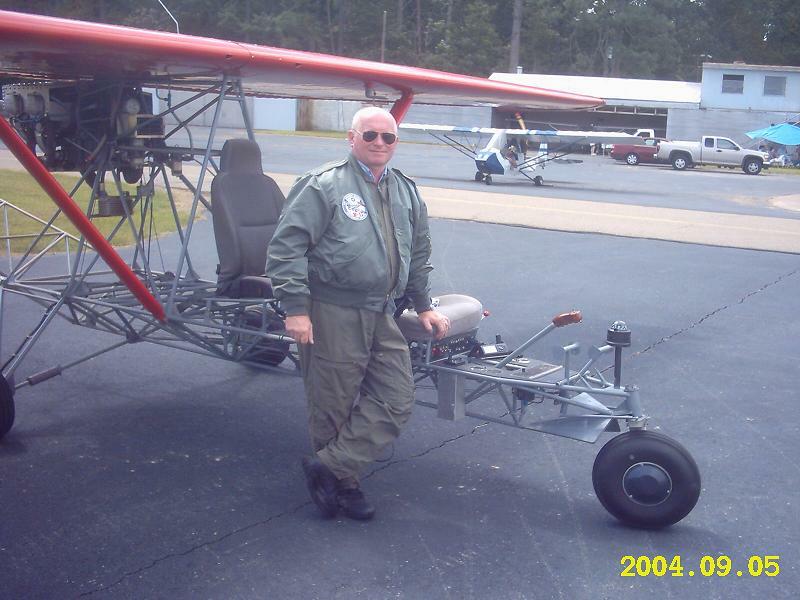 Arnie is a very active Breezy pilot and has flown over 800 young eagles in the last 10 years! 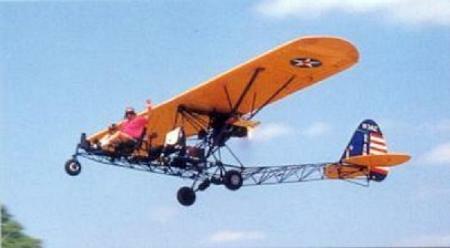 He and his Breezy can be seen at Oshkosh on the flight line giving rides. 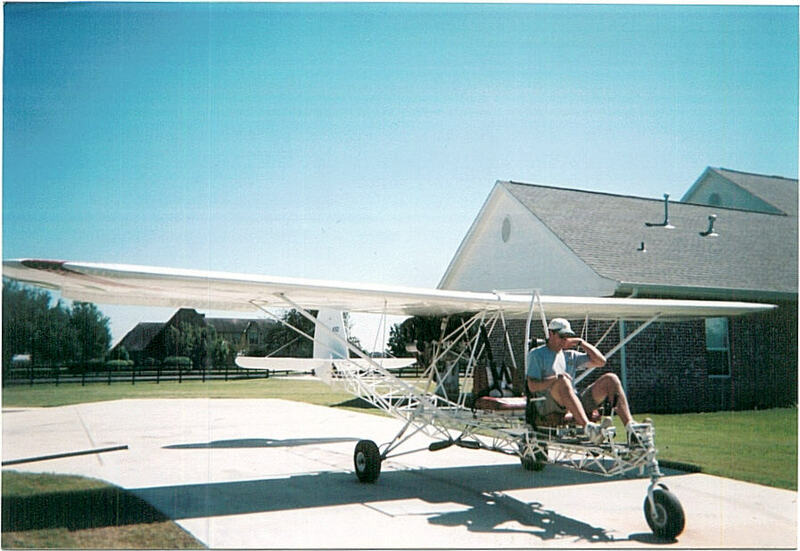 "My dad bought it from a guy in Sinton, Texas. I think it was 1977, maybe 1978. In 1980 it blew a jug on takeoff and landed in a big cedar tree. My older brother, cut down the tree! There was very little damage, until it hit the ground! The wings were smashed. (170 wings) We drove to Brimingham and bought the wings you see in the photos. Charlie Shivers had found them for us. Charlie came back with us and spent about a week in the dead of winter - outside in our backyard and horse barn- welding up the damage and changing out the wings. Before he left, we were in the air again and Charlie had all 3 of us current with checkrides. All it cost us was room and board - what a deal! The plane flew much better with the old 170 wing, but it still flies great. 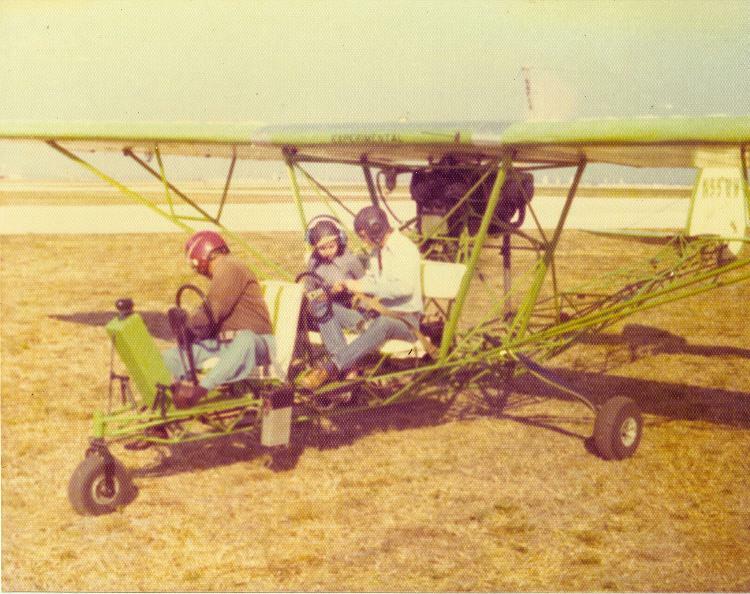 Later, my dad and I swapped out the engine for the one on my up-side-down 150. He sold it when his respiratory disease made it difficult to fly in the wind. He bought a 152 and almost completely lost interest in flying because it was just not the same. Nothing flies like a Breezy!" 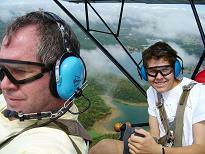 Ben and his sister Julia enjoy their Breezy (N2011L) immensely! 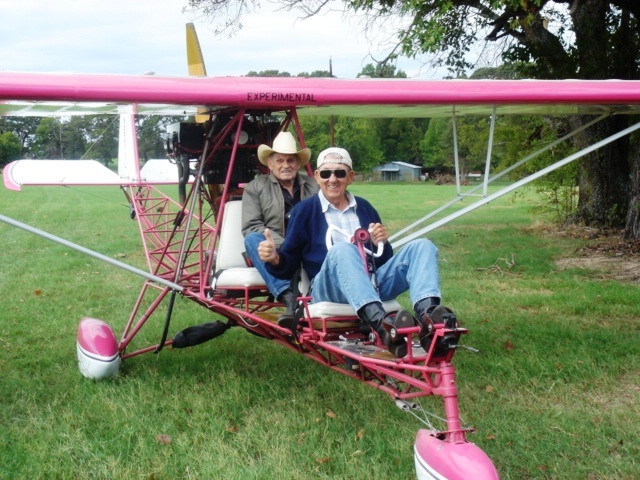 Marlin Scarbourgh and Charlie Shivers flying low! A pretty blue Breezy in a pretty blue sky....what could be better? A very pristine yellow Breezy. One thing neat about taking photos of Breezy's at fly ins.....you get some nice shots of aircraft (and tents) parked behind them as well! N868K, sn BLM-2, C of A issue 9-14-2011. Ben Morphew builder. 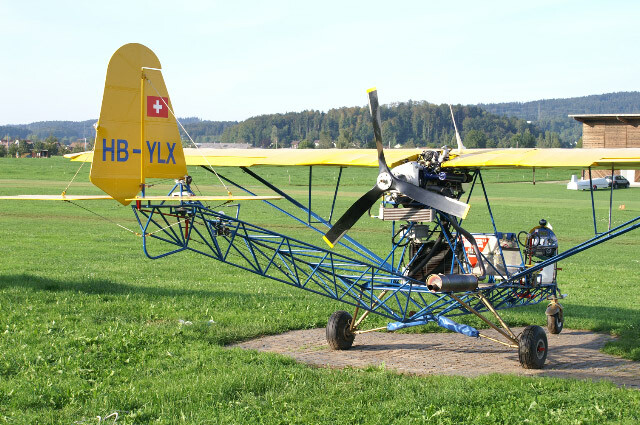 150 Lycoming 0-320-E2D. My second Breezy. 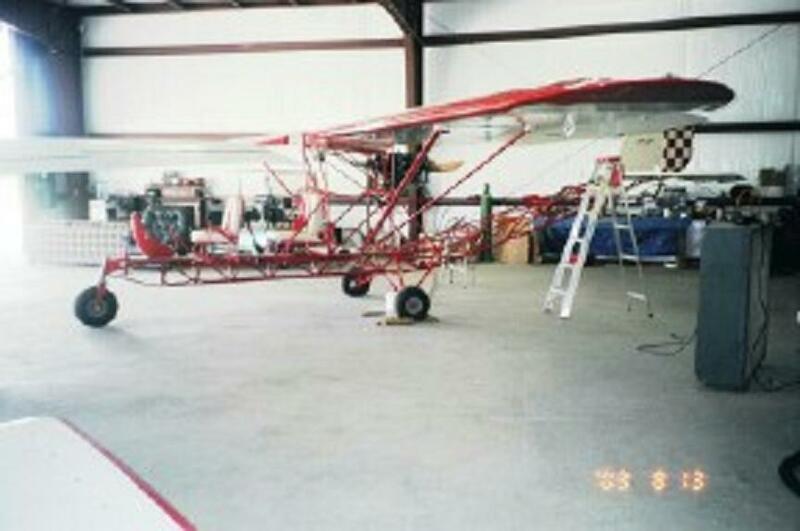 The airplane has older Wag Aero kit wings....built up Piper ribs with wood spars, Tri Pacer tanks, aileron system inside the wings, and J-3 style ailerons. 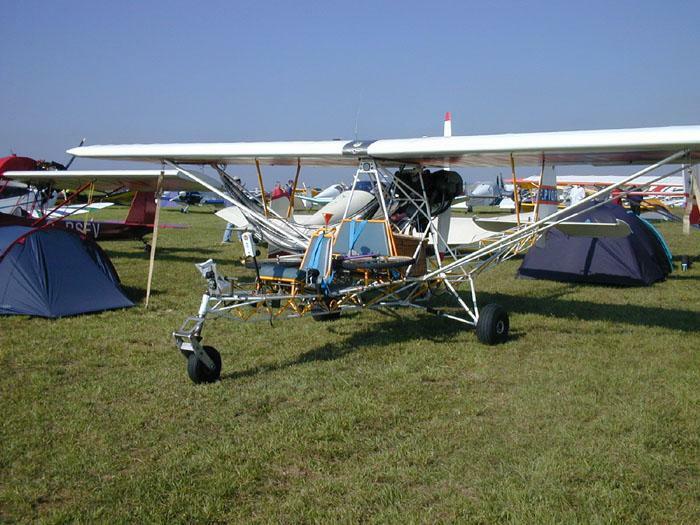 Has a 600X6 nose wheel and mains from Grove Aircraft. Also using one of their Piper style master cylinders. 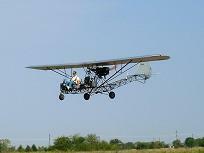 Got the idea of the instrument pod from UFlyIt LSA company in Florida. It has the color in the gel coat. He has a larger model also and is around 130 bucks. Check his web site for other models and colors. New cylinders on an older overhaul but things looked great inside especially the cam and lobes. Engine originally on a 172 from Japan with complete translated records. New mags, 10-5217 carb, harness, akro style lord mounts (harder style), oil pump and crank AD. Nine cell oil cooler and with temps in the 90's oil temp is 175 and 75 psi. Steve's Aircraft fuel filter. The engine was moved forward about 4 inches for CG reasons. The aircraft is right on the aft CG limit (37% MAC) with fuel fuel and two people but has NO problems with any flight regimes. The rear seat is at ''0"' so even solo the CG only moves to 38% MAC which is the aft limit for the PA 12/14 series. 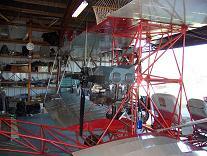 The rear spar ''tower'' is actually a kind of a ring spar to allow the engine to be moved. If I were to do a ''do over'' I'd probably use a straight mount style which would give me almost the same engine placement. The mags are even with the forward rear spar attach plate. I can actually hold the nose off for quite a while and ''fly'' it on to the runway instead of it slamming down on it's own. So far the engine has broken in nicely and runs strong. 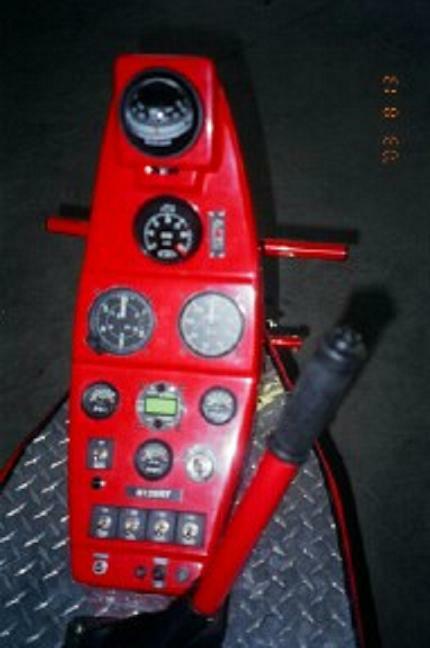 It has a Sensenich 72 inch prop that turns a static of almost 2600 rpm. I was going to change this but it gets off and climbs so well I think I'll just leave things alone. Cruise for this combo is 2100 rpm @ a nice comfortable 55 mph. Gross was set at 1,500 lbs. Empty was 901 lbs. Tried everything to bust 900 but just wouldn't happen. At full gross power on stall is 35 mph, power off is 40 mph. A little slower at lower weights. I re-worked the aileron throw so you don't have to splay your legs out to get full aileron. 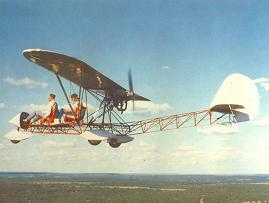 At the speeds we operate the ailerons don't feel any heavier than a normal J-3. I still have a lot of stick friction due to the new construction so thing will limber up a bit later. I only have a battery and no electrical system. Right now I'm using a Concord RG25XTC because I had it in stock but might change over to an Odyssey battery later. No trim system. With the engine moved forward, the CG isn't a problem as with some other higher horse power engines. The takeoff and climb is fantastic. Cruise isn't a problem because we don't build these for speed. The wheel pants are a trade mark of mine but they also keep a lot of debris from hitting the wings or going into the prop. The seats are older style bucket seats from J.C.Whitney for a Jeep. The bucket style gives a level of security no doubt to the effect of the bucket style. They are light plastic coated foam I believe. Right now I plan on changing nothing. We had just the normal new flight squaks but all that was corrected quickly. I also was lucky and no wing heaviness was noted. The larger nose wheel seems to be a good change...I use 10 psi and it seems to do well at that pressure. Waiting to see if any cracks appear in the nose gear area that usually pops up. Totally happy with the airplane. I missed my first one so much but couldn't get the new owners to sell!! Wonder why? Thanks for creating such a great website! 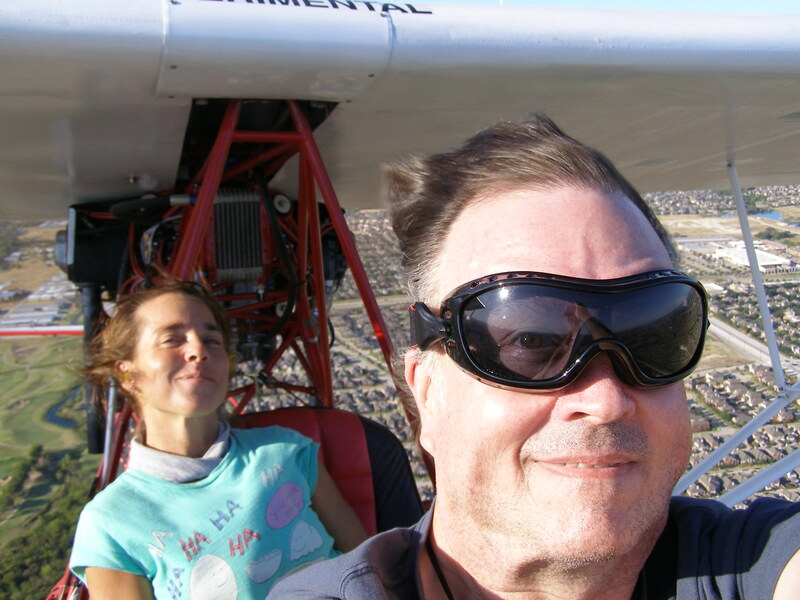 My Breezy NX1903 is flying at Deer Valley Airport on the north side of Phoenix. There have been some teething problems first with the fuel line being routed too close to the engine causing it to vapor lock on hot days and then with the radio. Most everything is working now and it is a blast to fly. It was originally built in Kansas City in 1976 by Virgil Chapman and passed through many owners until I bought it ten years ago minus engine and stripped of all usefull parts. After new fabric, replacing every nut,bolt and wire as well as rebuilding a Cont 0-200 and a three blade pusher prop it is finally done. 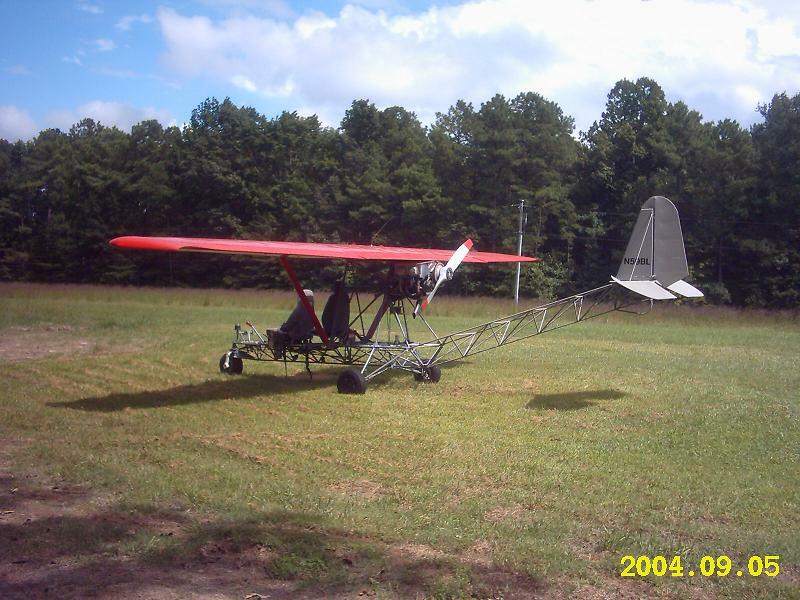 Now the really wierd twist I did some major arm twisting a few years back and got a set of Hoffman H-2 flyingboat plans like the one you have. 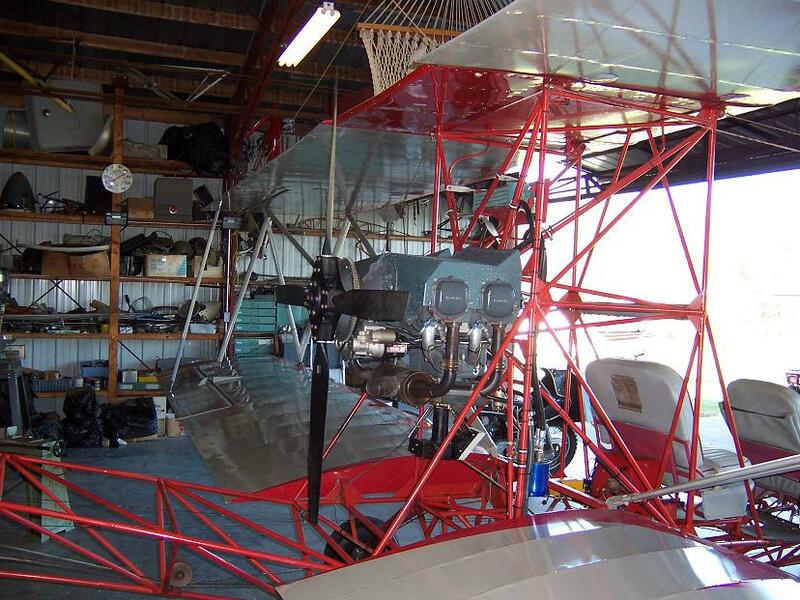 I have collected and engine, stacks,, a brand new set of PA-18-90 wings from Univair, instruments, belts, struts, and the reconditioned two blade prop off of the Breezy so things are slowly progressing. 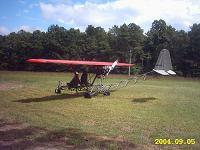 I have to finish refabricing my glider (Marske Pioneer) then I can really get down to work on it. Mark McLaughlin having some Texas Breezy fun! Here is a picture of N2434, based at Gundy's (O38) in Owasso, Oklahoma (surburb of Tulsa). 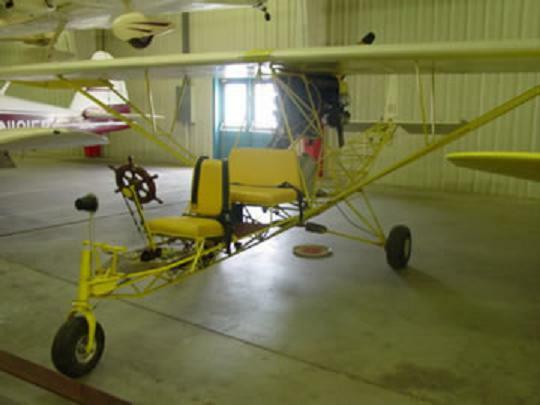 Airplane has Harley wheels, removable rearseat controls, 150 HP Lycoming O-320 and fuselage is stretched 8 inches up front for geater comfort for our longer-legged pilots. 1500 pounds gross weight. Owned by Wind In Your Face LLC. Originally built in 1971 in Little Rock by R.V Stewart and E.E. Anderson. Many owners since then. We have had it since 1995! 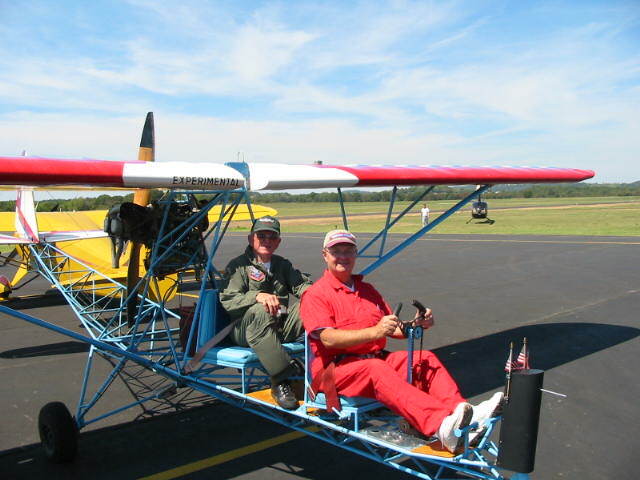 Picture of Apollo Astronaut Frank Borman with Bob Ferguson on Breezy at Claremore, Oklahoma during airshow for Make-A-Wish, 2003. 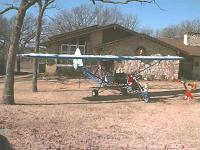 Breezy was built in Beggs, Oklahoma in 1976 and still flys in the Tulsa area from Gundy's (O38). One of three Breezys active in Tulsa. 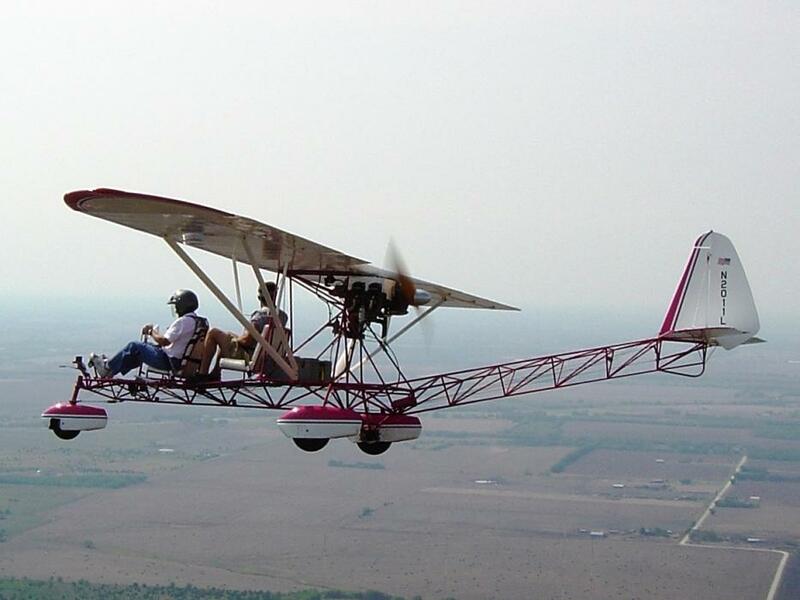 Ron Cross and Terry Capp's Breezy incorporates a modified control system and center instrument stack, a Lycoming 0-290-G 125h.p., J-3 wings and modified tail section, 23 gallon center fuel tank, Hegy 68" x 43" wood prop, 6 x 6 cleveland wheels and brakes. Empty weight is 1062 pounds. 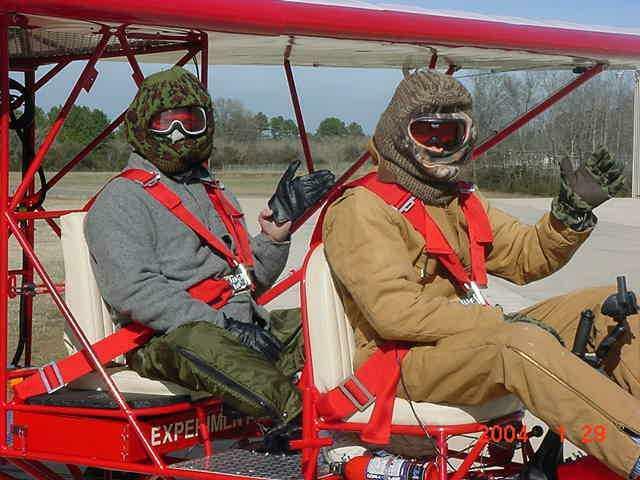 Terrorist alert raised to Red in Pell City!....or, What the best dressed Breezy pilots wear for winter flying! You could almost get an instrument ticket with this set up! Wally Weishaar's pretty white Breezy. "The logs indicate that it was built about 1970. 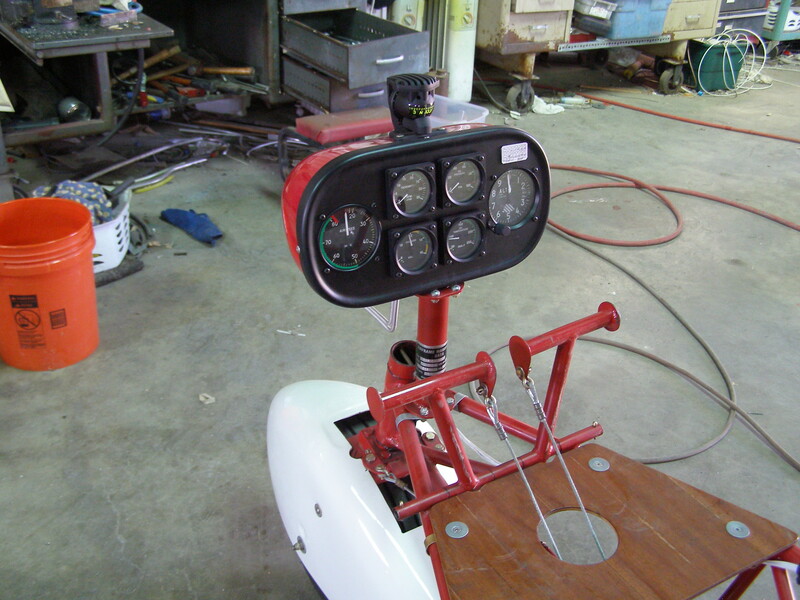 The first log entry is of a taxi test. The builders were Earl Tomblingson of E.Alton, Ill. and Lanny Joe Leathers of Wood River, Ill. 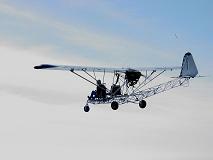 The wings are metalized Cessna 120 wings. The original engine was a cont 85. It was replaced with a cont O-200 100hp in 1980. The builders must not of been very impressed with it for they sold it in June of 1970 with 52 hrs on the plane. The logs show a long 2 day, 17.5 flt hr. journey to Hamilton Tx. The plane has been in Texas ever since." "The breezy got a whole new look in 1990 (refer to picture above)sporting nav lights, strobe, com radio, intercom and a x-ponder w/mode c!! It got back to basics about 1998." 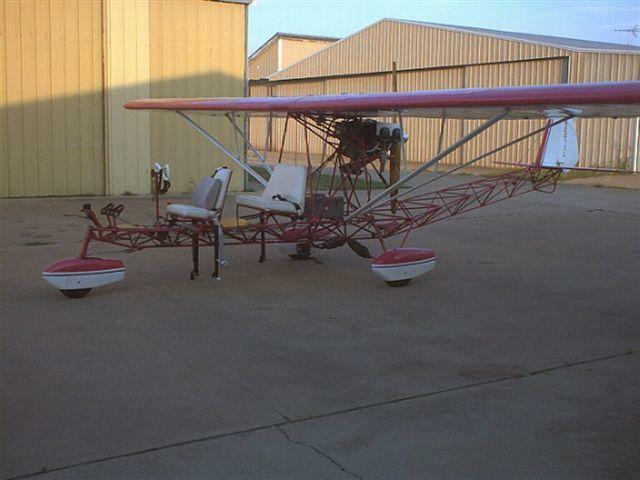 Gary Wilshire recently sold this Breezy (N79WL) after a 2 1/2 year love affair with it. This particular plane was put together in 2000, so it is a low time bird. 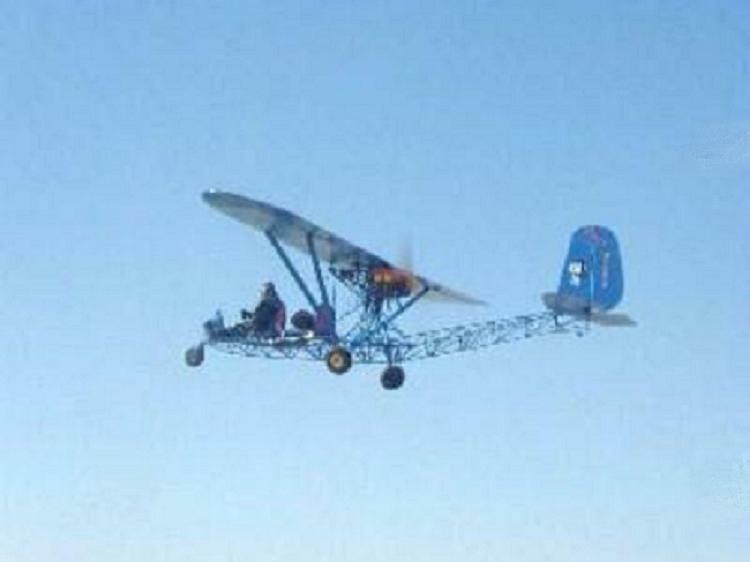 It has a Lycoming O290, 135 HP for power. 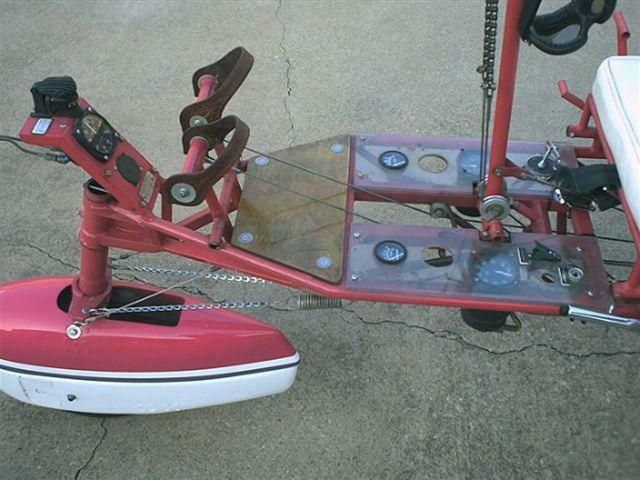 It has dual flight controls (sticks) and Cleveland wheels and brakes. The logs show the wings from a J-5. and the fabric is Ceconite. Not exactly Breezy weather here in Michigan...5 below zero this morning...the old Chevy groaned for a bit but came through for me anyway!!! Good news, I have finally sold all of my parts from the project Breezy. I thank you very much for posting it all for so long on your site. I guess this means you can remove the ad from the site if you wish. By the way, I did get lots of interest from your readers. 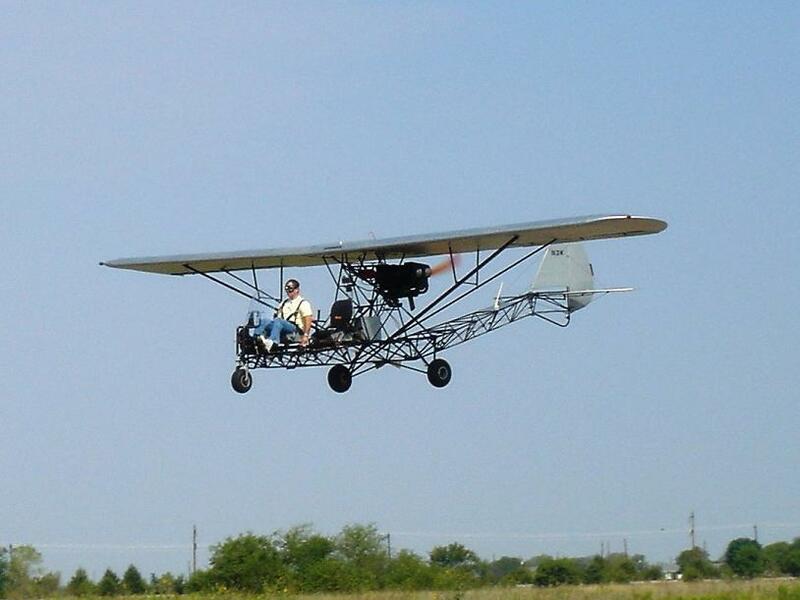 Bad news, I may need to sell my flying Breezy soon. I'll know for sure in a week or so. 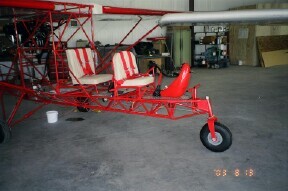 I just bought half interest in a beautiful 1958 C-182 and am going to need some gas money for the hog on wings. Also, I am sending you pix of my Breezy finally for I have just learned how to do such things (stupid simple). UPDATE!!! The gang in Pell City AL now own Bill's nice Breezy....that makes 3 in their contingent! 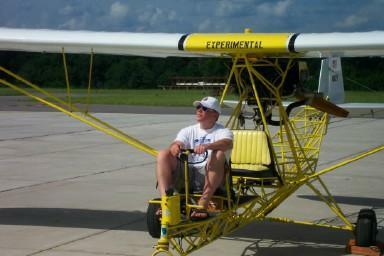 Just got back from the aerodrome after 1.2hrs in/on our Breezy, VH-BLO. I can talk to people who can understand what I’m babbling about! halfway around and had to almost guess where the runway was! 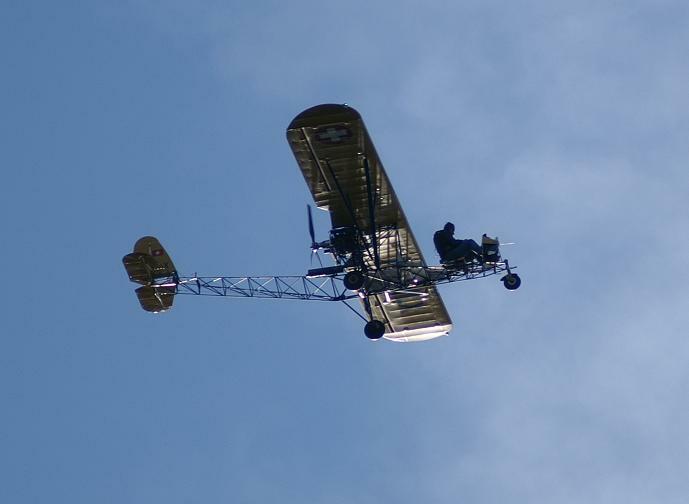 Norris Warner has just begun flying his Breezy, N35XX. 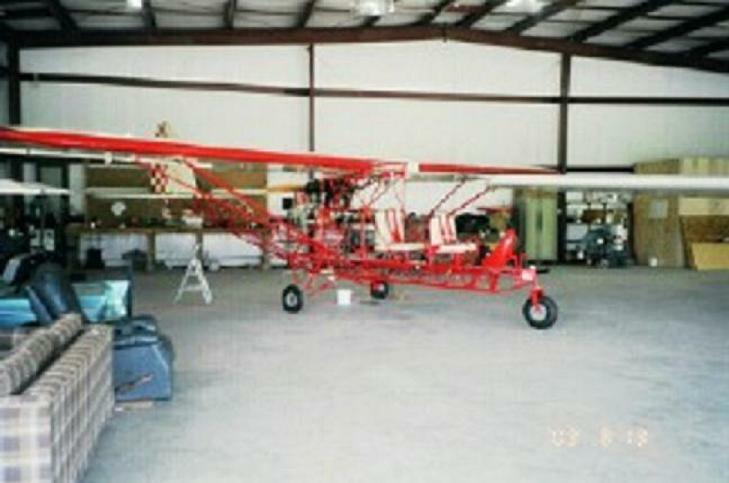 It has a C-90, starter & generator, Piper airfoil, and weights 878 lbs. empty. "My Breezy made its first flight on June 20, 2004. The N # is N59BL. The aircraft is scratch built with Cessna 150 wings and powered by a Lycoming O360-A4K (180HP). You never can have too much horsepower. The weather this summer has been pretty miserable in the mid-atlantic so I've only been able to put about 20 hours on it." 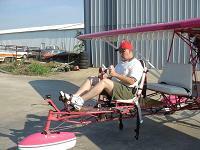 "Empty weight is 1010 lbs, it flies hands off, I have electric trim, and it fairly leaps off the ground. 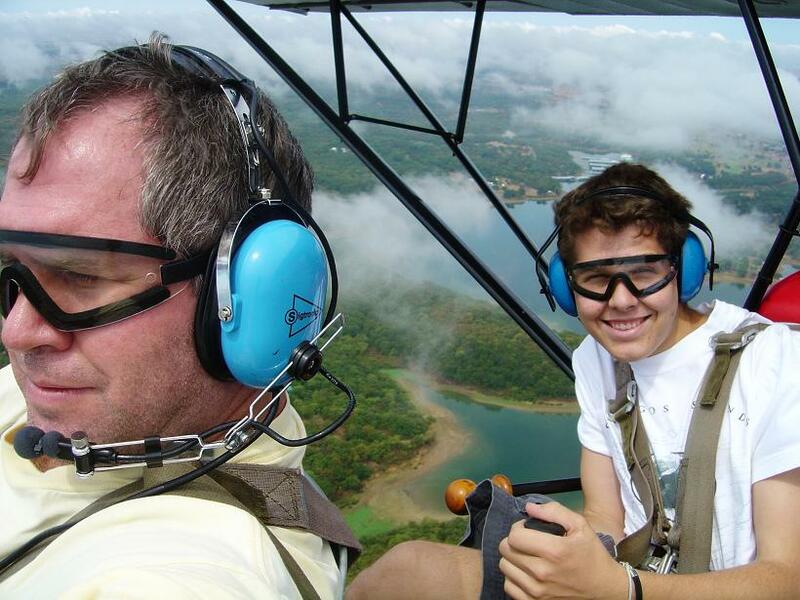 I don't know the top speed because I pull the throttle back once airborne, (if I wanted to go fast I would've built something else) and landings happen so fast that I've never looked at airspeed but I expect that it stalls at the same speed as a C150."